Very interesting. These will be a good addition for my students. I would absolutely love to have Heather Hammond’s books.I think her great selection of repertoire makes the practise so desirable for the student plus there is a lot of great technique advice.I would benefit so much from them! Having read a glowing review from Andrew Eales about these books, as well as Melanie’s informative outline,I would love to own them.The content seems so comprehensive that they definitely qualify as stand alone resources, with very attractive repertoire. I have heard so much great things about these books.would love to have these for my pupils ! I am an adult student. I have been having lessons for 2 years and have achieved intermediate level. I think these books would be a great tool to aid in my self development, working alongside the teachings from my lessons. I think it will add another dimension which will help to keep me motivated. I like having everything together in one book. Fewer things to have to remember to bring to a lesson. I think students will enjoy playing these. I have pupils who will love these books…. Just exactly what I’ve been looking for – really exciting to have everything in one place – will be sure to buy these if I don’t win – think my intermediate pupils are going to love them – and greatly benefit from them! These will be a great teaching aid. I think these books are a great idea as pupils often struggle between grades 3-5 and these books offer an alternative approach with the some nice material for students to do in between and sling side exam material. Should say along side exam material. Thanks Melanie. Sounds like just what I need to help my sight reading. I am a mature student – hoping to take my grade 8 next spring. Wow! This looks so interesting for my students! I think these books will fill a gap in the market and I like the idea of everything being in one book. I have already purchased book 2 for one of my teenage students and would love to own the other 2 books. Thanks, Melanie. These books seem to offer a fresh and original approach. Many of my adult students would find them especially helpful, I think, as would some late-starting teenagers. Most of my pupils are adults 🎹🎼😬 (70%). Anxious to preview these – Thanks, Melanie! 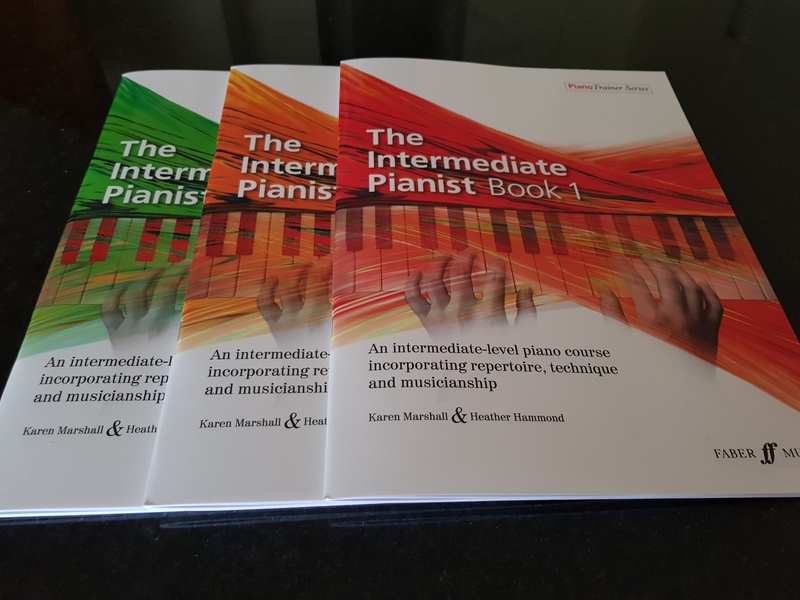 I like that these books are aimed at Intermediate pianists as sometimes it can be hard to find appropriate pieces for students of this level to play. I also love that this book covers repertoire, concepts and skills all in one. I hope to win. Thanks! Having so many graded element in one book is a tremendous source for teachers. I look forward to examining this series. I would love to take a look at this new series! Couldn’t agree more about teens being highly in danger of quitting piano. Anxious to review these books! I’m intrigued. I am always looking for new material for my students and these look like they would fit the bill really well. Thank you for sharing about them. I would love to get this new material for my students! Thank you so much for sharing this! My dream has come true! I’m a new teacher and intermediate students scare me… I have 2 that are almost there now and I’ve been scrambling around the music store looking for ideas. This will be so helpful for me as a teacher and it sounds like it has a lot of great material for helping students become well-rounded. So excited! I am very interested in taking a look at these books after successfully using the Get Set books with my pupils. I hope I’m not too late…this looks Wonderful! I can think of several students I’d like to use these books with. Would love to use to start off teaching with some well done and comprehensive books. Thanks for sharing.. I think these books are a great and help students how are very interested in piano, they learn a lot more of technique that they can apply to their piano journey..!